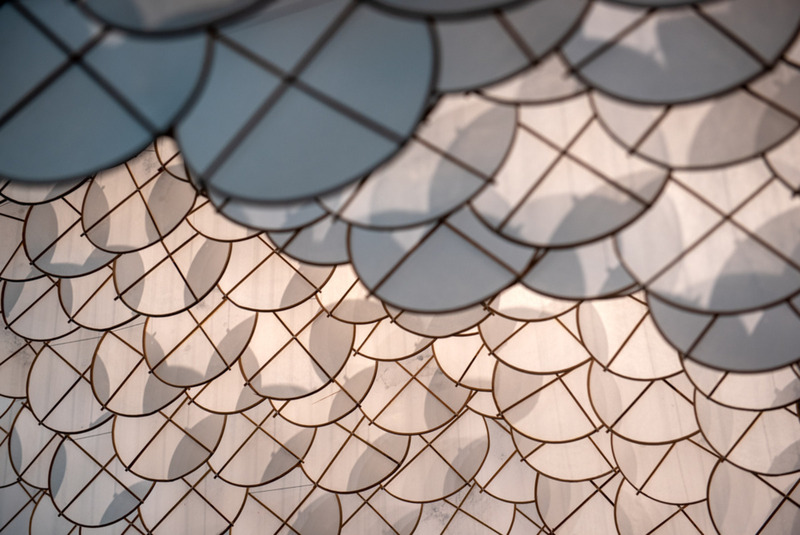 Jacob Hashimoto is an artist specializing in the creation of complex worlds. 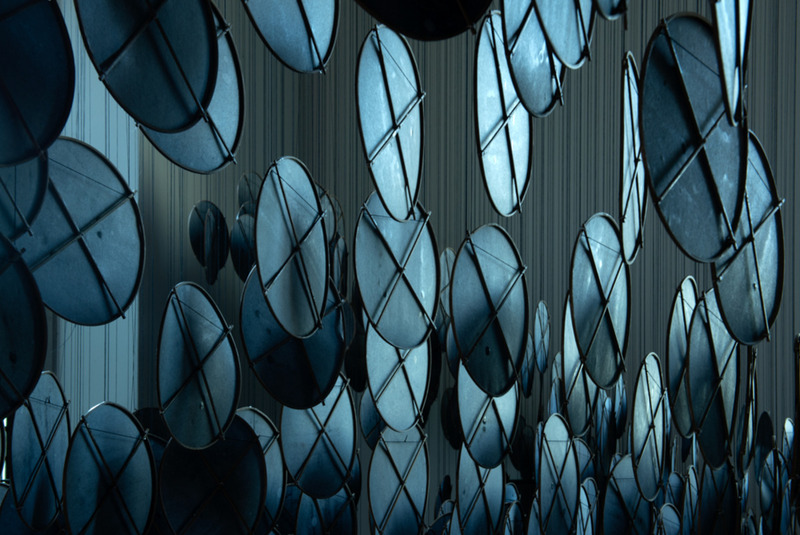 He creates installations thanks to sculpture and painting, and his compositions refer to a virtual world, especially to video games, while remaining in a certain artistic tradition. 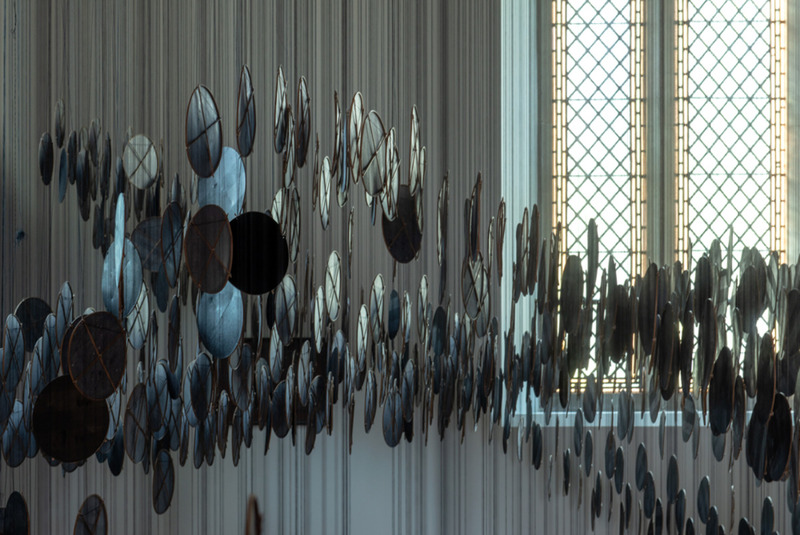 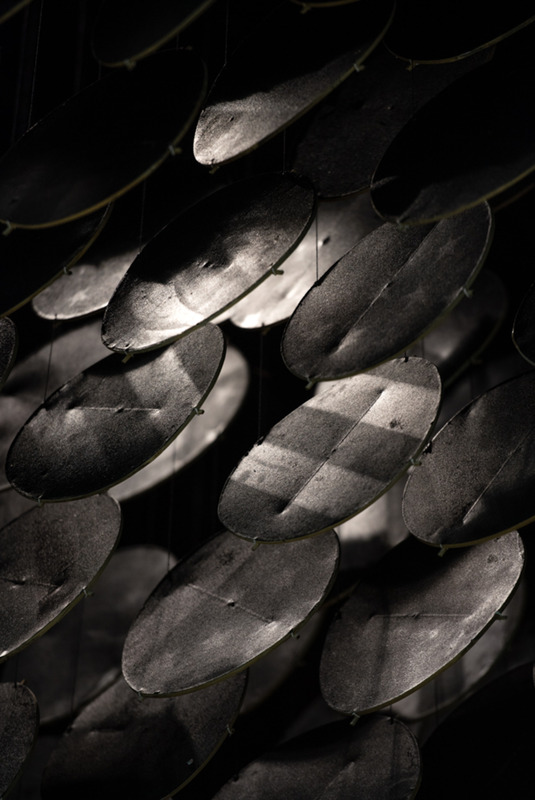 His last installation, called “The Eclipse” is in a chapel situated on Governors island. 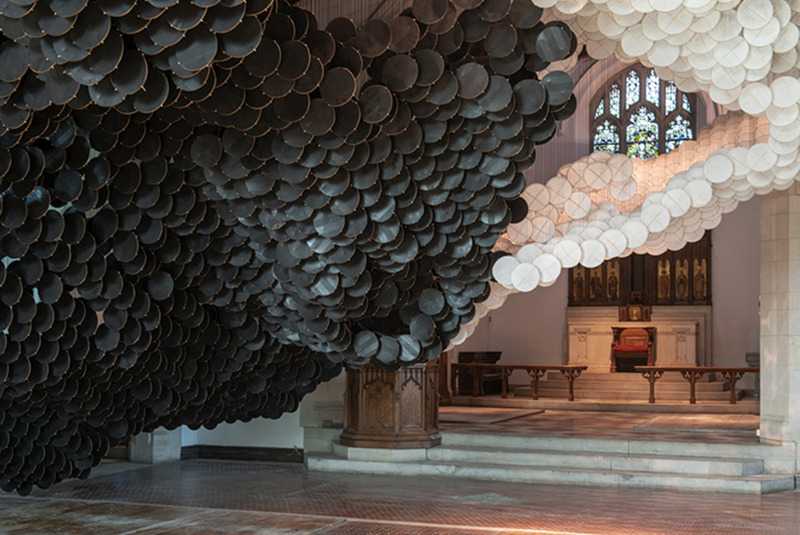 This is his first major installation in New York. 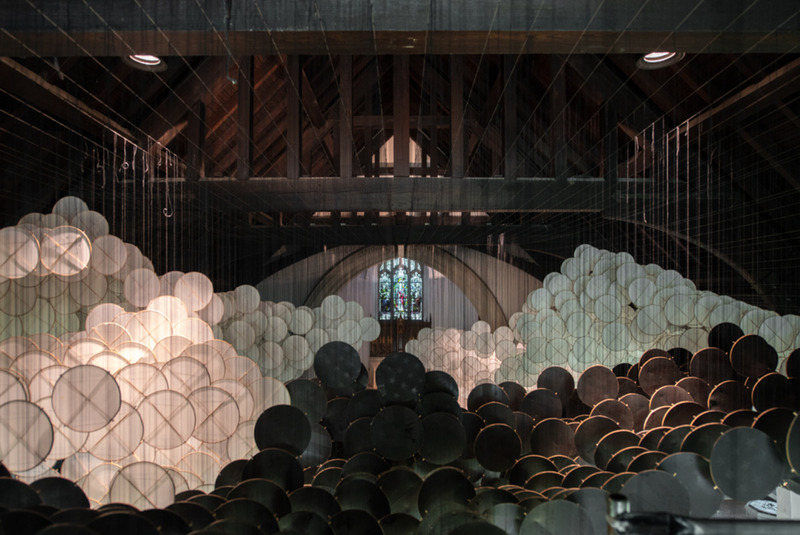 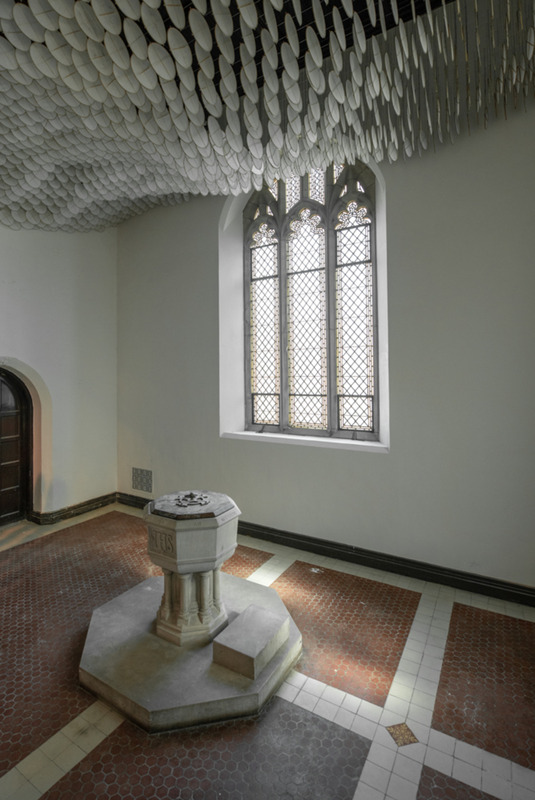 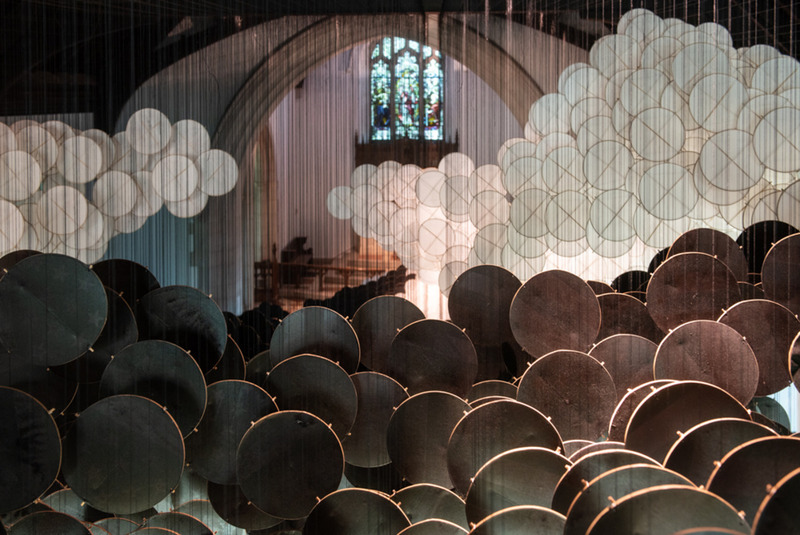 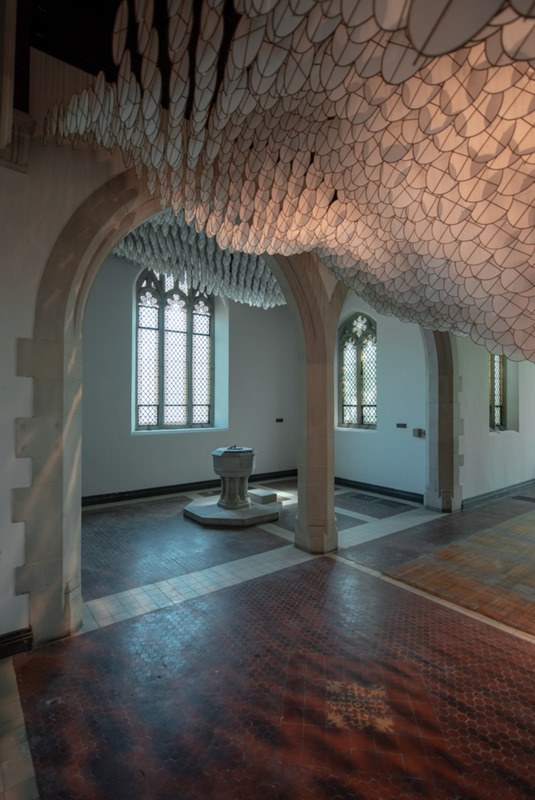 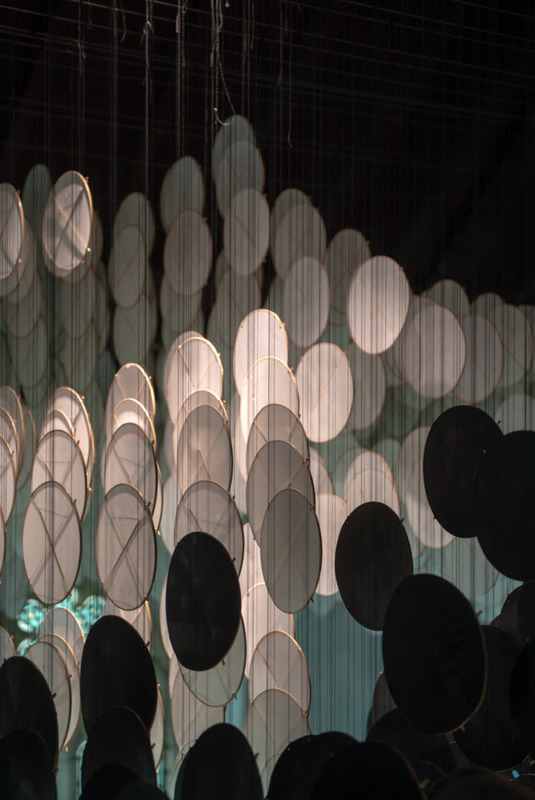 Representing a gigantic “cloud” consisting of kites made of rice paper, this temporary work brings rest and serenity to the visitors of the chapel. 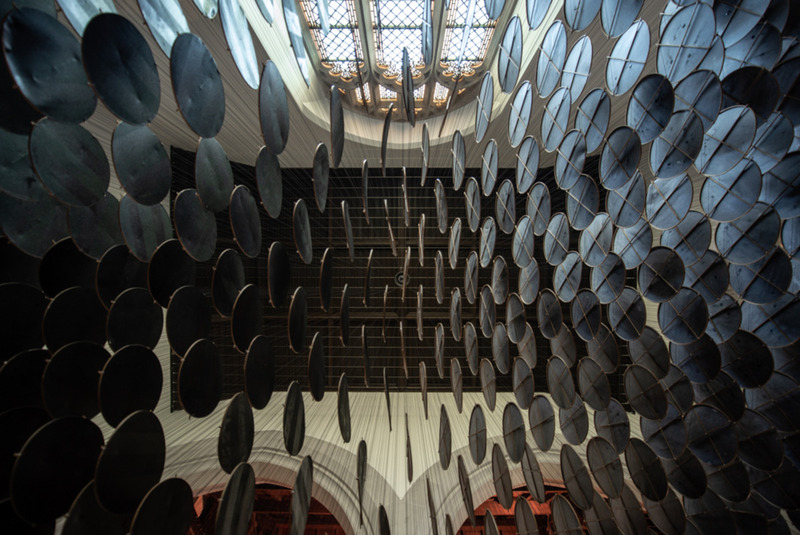 Inspired by the place, the artist decides to invest it thanks to its history, but also by the solemn symbol it conveys.